Abandoned places in all shapes & forms has always intrigued me. 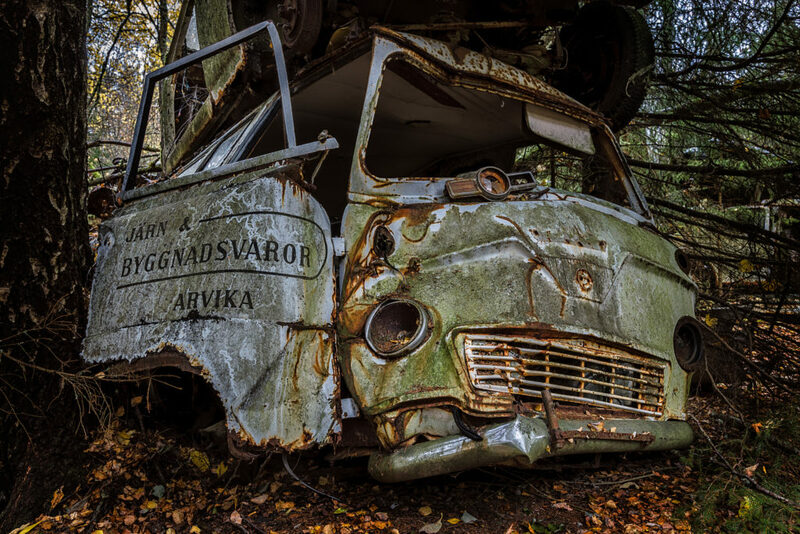 This famous car graveyard has long been on my list of places to shoot. And finally some good photography friends and yours truly took the trip. The place is called Bästnäs and is just under 2 hours to get to from Oslo by car. It’s a really interesting place to go for both photographers and gearheads, or if you just want to experience something different.